Kostyantyn Kyrychenko presented the HEI’s experience in the implementation of large-scale grant programmes of the European Union, their impact on the development and internationalization of universities and the prospects for expansion of international cooperation within new programme Erasmus+. The event was dedicated to the results and achievements of Erasmus Mundus international grant programme, and also the prospects of Erasmus+ programme. 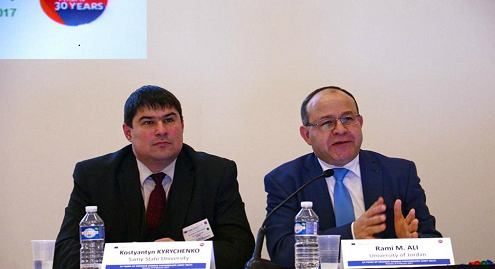 Internationalization of higher education, recognition of studies and impact of mobility on skills and career development were discussed during the conference. 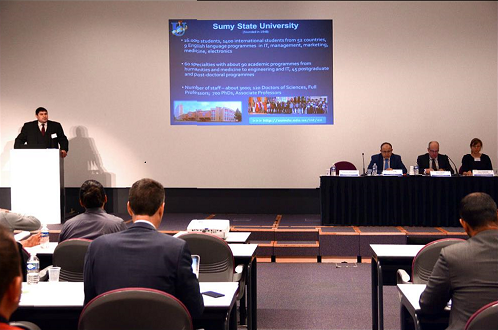 100 participants from 50 countries (among them there’re 15 countries of the European Union) took part at the conference.